IS THE BUD OF THE HORNBEAM TREE USED FOR MEDICATIONS TO HELP THE HUMAN BODY? I AM INTERESTED IN THIS ANSWER AS I WANT TO KNOW IF THIS COULD BE HARMFUL TO THE BODY IN ANY WAY. IT IS TAKEN INTERNALLY. 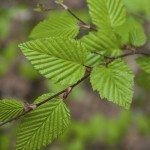 Hornbeam is used medicinally, but if you have health condition that you are trying to correct, check with your MD or an ND (naturapathic doctor) about appropriate use of herbal therapy and possible contra-indications.